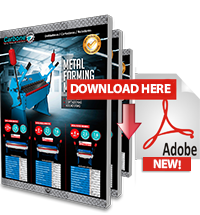 With its new line of machinery for metalworking Carbone Costa Rica presents the new line of electric sheet bending machines with a new power management gear system which functions via an upper and a lower roller. This machine can pre-roll and its bearings may be suitable for rolling thin steel sheets. 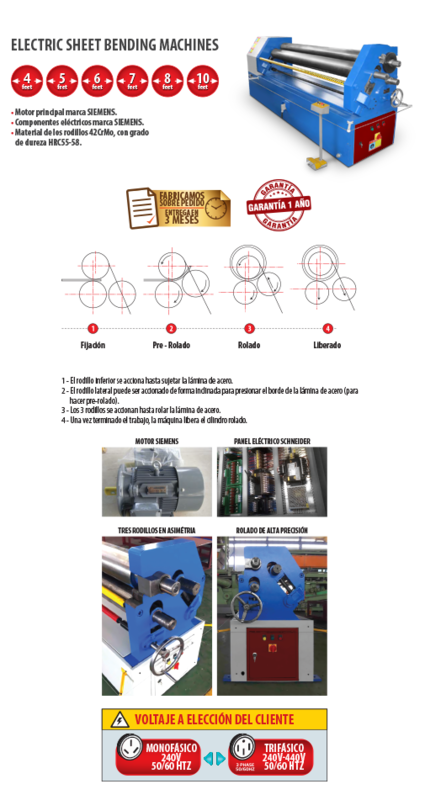 Has asymmetrical rollers to roll and pre-roll low thickness sheets, machine frame made of high quality steel. SIEMENS electrical components, with pedal type remote control instruments and high performance hardened rollers. The upper roller is fixed and the lower roller can be adjusted manually for up or down positions, the side roller is also adjustable. It’s easy to operate, because of its frame is small in size but with a big engine.